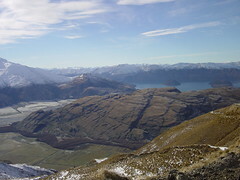 Many people who come to Wanaka, visit because of Treble Cone mountain. Treble Cone offers great skiing in the winter and down hill mountainbiking in the summer. I have an admission to make, yesterday, after about 10 years of visiting Wanaka, I finally skied at Treble Cone for the first time. My husband knowing my skiing abilities has kept me away from Treble Cone, knowing it probably all would end in tears and a sulky bad mood. My skiing though has finally improved from plenty of days in Cardrona. We had some great friends spending the day at Treble Cone so decided to give it a go. I loved it! Even though the snow is now in spring condition, I now understand why our keen skiing friends go directly to Treble Cone and never leave it when they come to Wanaka. Being able to park so close to the amenities when we got to the top. Huge variety of skiing. My friends tell me TC has the best skiing in New Zealand. The price of the season passes. I havejust heard though from a shareholder, that things may be changing next season. Hooray! Not that much skiing for the low intermediate level skier. The whole mountain is quite steep and lots of runs are ungroomed. 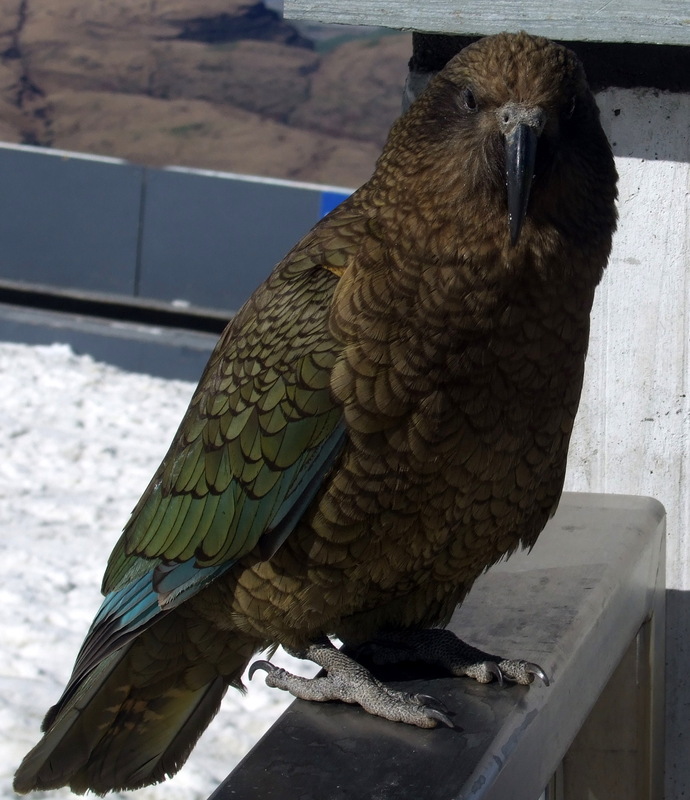 Having the keas pinch your keys, your lunch!